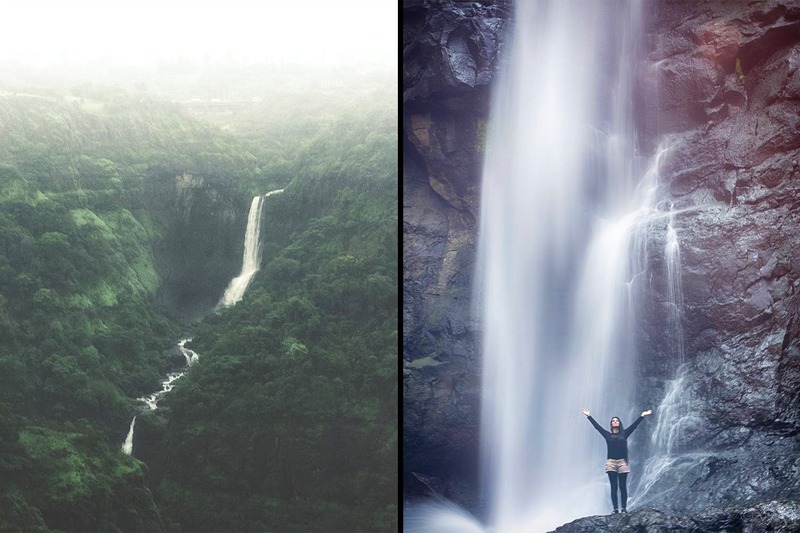 Did You Know One Of India's Highest Waterfalls Is Just 2 Hours Away From Pune? With a height of 660 feet, Kune Falls is the 14th highest waterfall in India and is located in Lonavala, just about two hours from Pune. The waterfall is situated centrally between Lonavala-Khandala valley in Kune village, which is about two hours from Pune if you’re driving down the Pune-Mumbai highway. For detailed route, click here. Kune Waterfalls is one of the most gorgeous waterfalls in whole of Maharashtra, and the best time to visit is during mid-monsoon. Enveloped in lush green forests, Kune Falls is a three-tier waterfall that cascades down the hilly terrains of Sahyadris from a height of 200 metres. The place attracts a lot of tourists during the rainy season. We hear swimming and bathing at the footfall is allowed and safe when there are no heavy rains; so make sure you carry extra clothes. While you’re at Kune, we recommend you also check out the quaint Kune Church and eat at Triose Plaza, which is full of eateries like Cream Stone, Kareem’s, Chaat Cafe and more. If you love rains as much as we do, a trip to Kune Falls is exactly what you need.